People (and pets) get plastered in color at the happiest 5k on earth, which takes places in cities across the US. When people run the Color Run, they get splattered with different colored powder at distance markers. 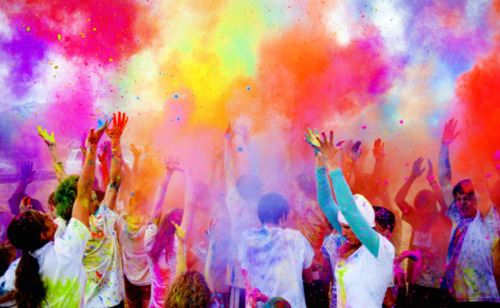 When everyone finishes the race, there's a huge dance party and people throw even more color into the air!